There are tons of ways to toast the season of fresh fruit and long happy hours. Here are 2 of the most beautiful—and delicious. From a Frozen Coconut Watermelon Mojito to a Blueberry Lavender Vodka Spritzer, this duo’s your ticket to pool (or porch) party bliss. 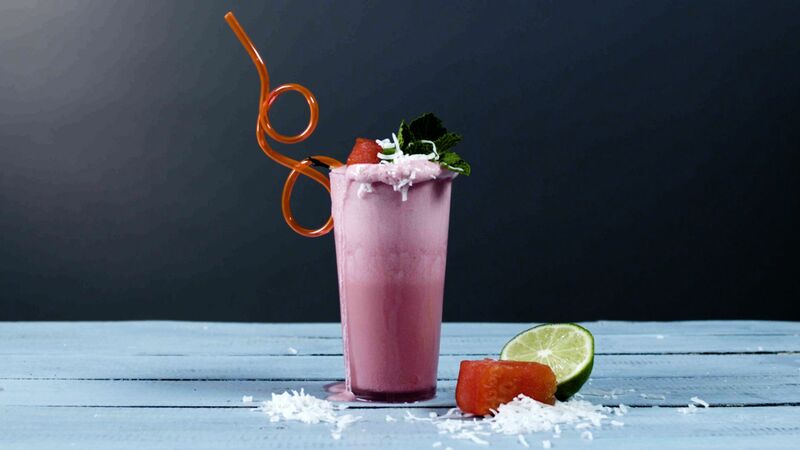 If you were to combine all of your favorite summer flavors into one drink, you might come up with a similar cocktail to these Frozen Watermelon Coconut Mojitos. 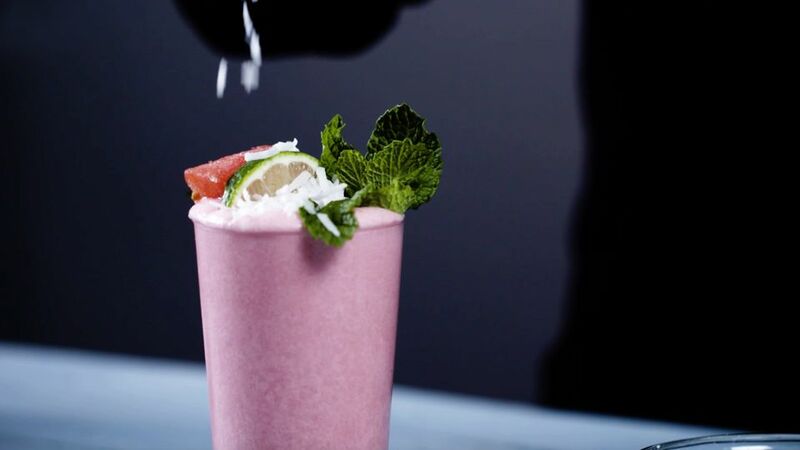 The classic Mojito gets a refresh with fresh watermelon and creamy coconut milk. Enjoy this frozen fruity slushy poolside or at your next warm weather event. Rethink the definition of a pick-me-up smoothie with this spiked slushy. Cooldown poolside or channel sunnier days with this refreshing mix of blueberry, pomegranate, lemon, and gin. Bonus: This sweet-tart cocktail will give you a healthy antioxidant boost with your buzz. Sugar-Free Summer Beverages That Beat the Heat!